Howards End is a 2017 four-part television drama series based on the novel of the same name by E. M. Forster (published in 1910). The series is adapted by Kenneth Lonergan and directed by Hettie MacDonald. 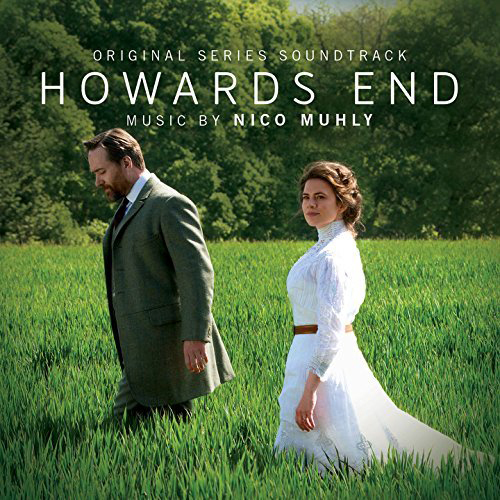 This BBC-produced TV adaptation of Howards End features a script by Kenneth Lonergan and a gorgeous classic score by renowned composer Nico Muhly. Starz will premiere Howards End in the USA on April 8, 2018. Nico Muhly (b.1981) is an American composer and sought-after collaborator whose influences range from American minimalism to the Anglican choral tradition. The recipient of commissions from The Metropolitan Opera, Carnegie Hall, St. Paul’s Cathedral, thePhiladelphia Orchestra and others, he has written more than 80 works for the concert stage, including the operas Two Boys (2010), Dark Sisters (2011), and Marnie; the song cycles Sentences (2015), for countertenor Iestyn Davies, and Impossible Things (2009), for tenor Mark Padmore; a viola concerto for violist Nadia Sirota; the choral works My Days (2011) and Recordare, Domine (2013), written for the Hilliard Ensemble and the Tallis Scholars respectively and most recently Looking Up (2017), a work for choir and orchestra for the Cathedral Choral Society.